The restaurant’s dishes are all prepared with Italy’s best ingredients. Fresh goat cheese accompanied with a delicious red-onion jam. 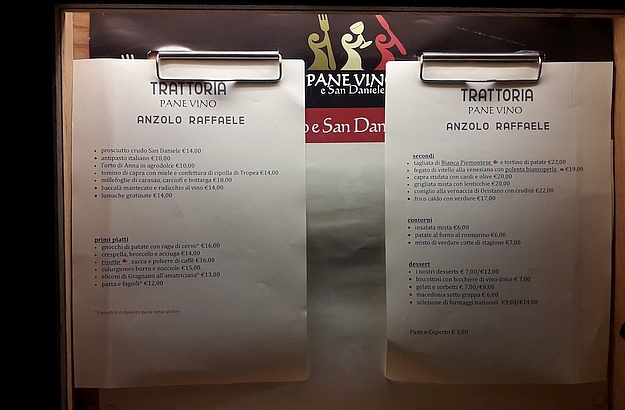 Now one of my favourite restaurants in Venice: the Pane Vino e San Daniele. 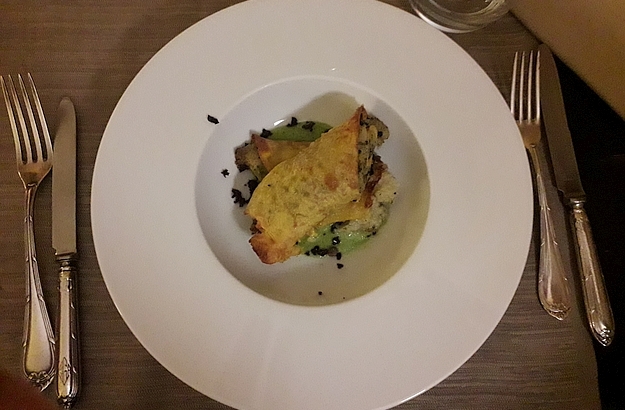 Risotto, gnocchi, desserts and many other specialties: you’ll love it! It was a mild summer evening, and the one and only restaurant fronting on to the piazza was teeming with people. But I managed to find a free table and, believe me, had one of the best meals ever! 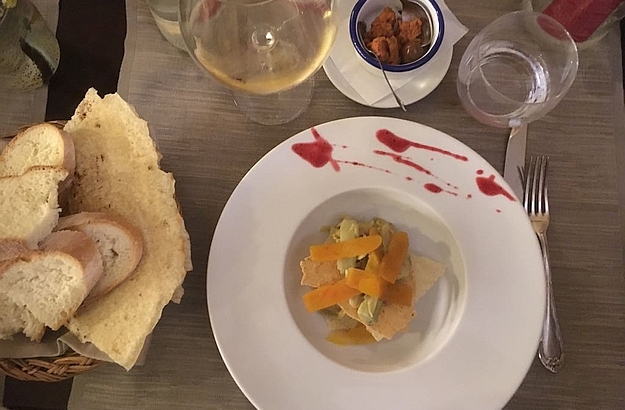 So, when we had our Ca’nova Instagram event this past November, needless to say that I took my four special guests to my new favourite restaurant in town: Pane Vino e San Daniele. The temperature, that night, being a bit on the cool side, we had our dinner indoors, where the atmosphere was great too. The restaurant’s menu is based on the best ingredients one can find in Italy. 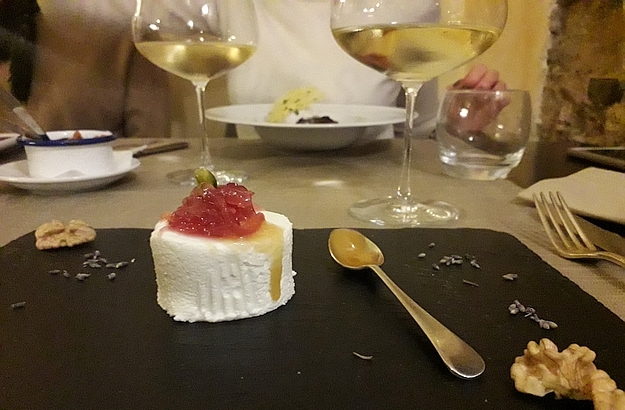 We could taste this in every single dish we had: the risotto, the gnocchi, the wide range of desserts, and the fresh goat cheese which was accompanied with a jam made of Tropea’s much sought-after red onions. On the sommelier’s recommendation, we washed down our dinner with two bottles of Lugana Riserva del Lupo, one of the best white wines I had drunk in a long time. 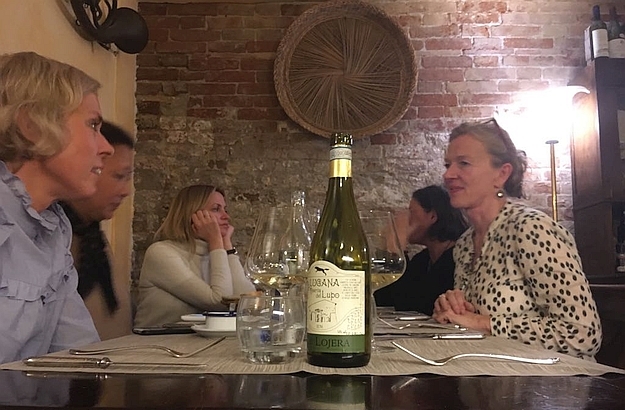 Having had our highly enjoyable fill of good food, laughter and confabulations, our little group left the restaurant not long before the witching hour, and headed back unhurriedly to our Palazzo Ca’nova, enjoying on the way the transcendent beauty of the Serenissima at night. Should you like to make a reservation, just follow this link: www.panevinoesandaniele.net (on the contact form), or call this number: +39 041 523 7456.